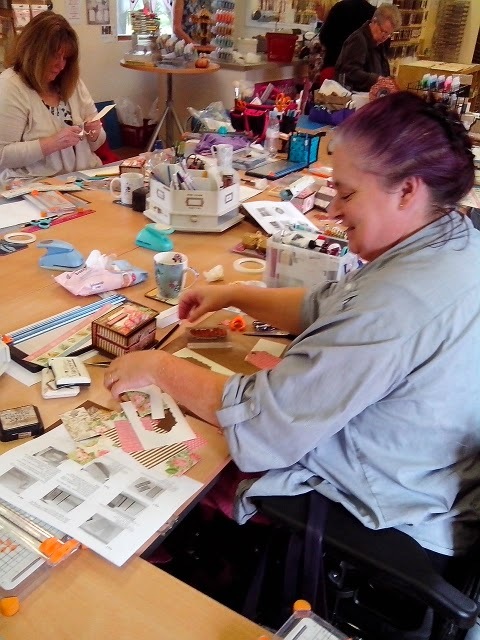 A great day had by all at Pink Tulip, lovely to see you all ladies and I hope you enjoy using your ATC gift box and making more too. Heres a few pics of everyone making todays project. Thanks Sheila, Angela & Tracy for all your help again. The day just couldn't run as smoothly as it did without you. My by the Sea card above was one of the samples made for the G45 show on Create and Craft TV on Friday. 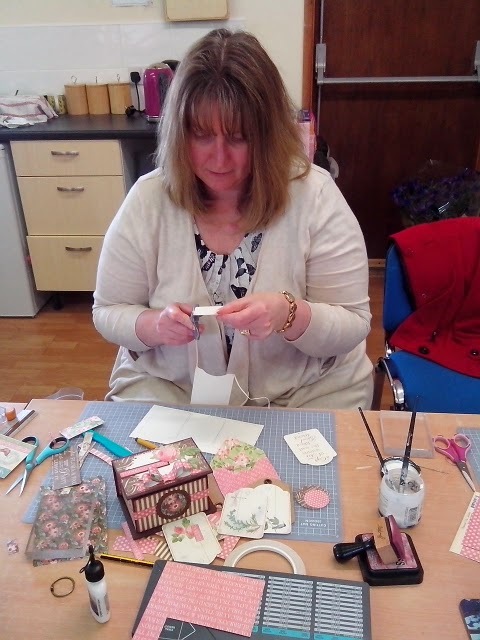 I love the By the Sea papers (well I love anything G45 as you know) and had great fun cutting up the signature sheet to decorate the Easel card above decoupage style. The shells have been shaped slightly to give them a little more dimension. I've found they keep their shape for longer if you spritz the back of the paper with a little water, shape them and let them dry before mounting them. 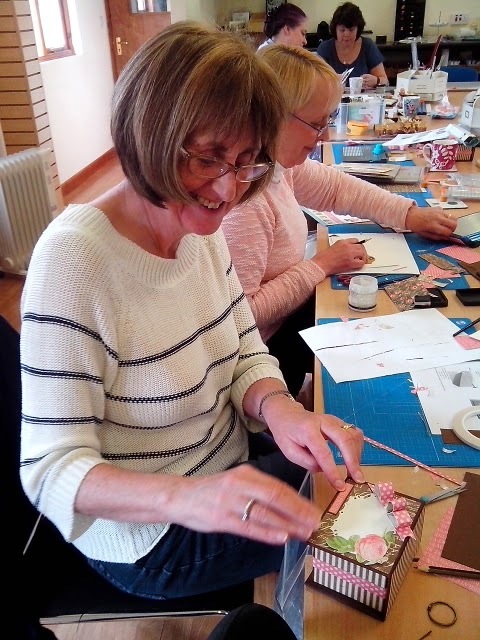 I'm off down to Wantage in the morning to run a workshop with Wendy at the Stamp Attic. This was the first craft shop I shopped at, and where I bought my original G45 Steampunk and Halloween in Wonderland papers. 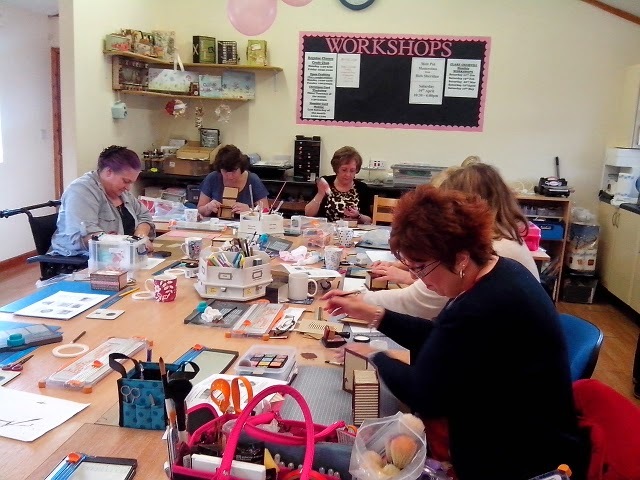 I had no idea at the time I'd be back there teaching :-) Looking forward to seeing you tomorrow ladies. Beautiful! Looks like you had a lot of fun. Hi Clare, looks like everyone was having a lot of fun as always!!! 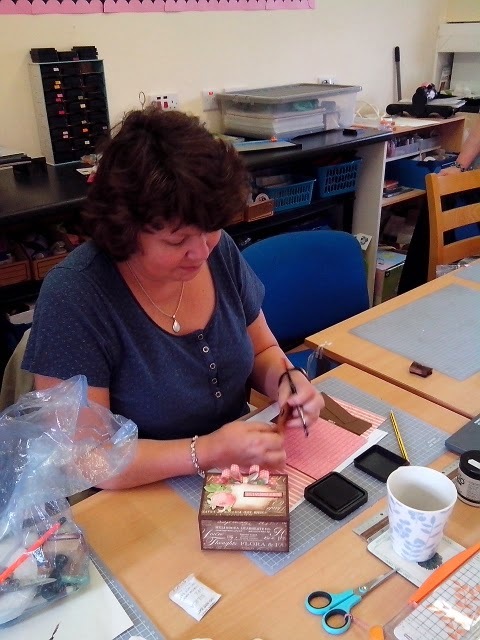 I bought a die to make a ribbon and then you showed us how to make one with the envelope punch board. So easy!!!!! I think I will give them both a try and if it turns out like I think it will I will probably be passing along the die to a friend!!!! Thanks you for all that you do, have a lovely rest of the weekend!! 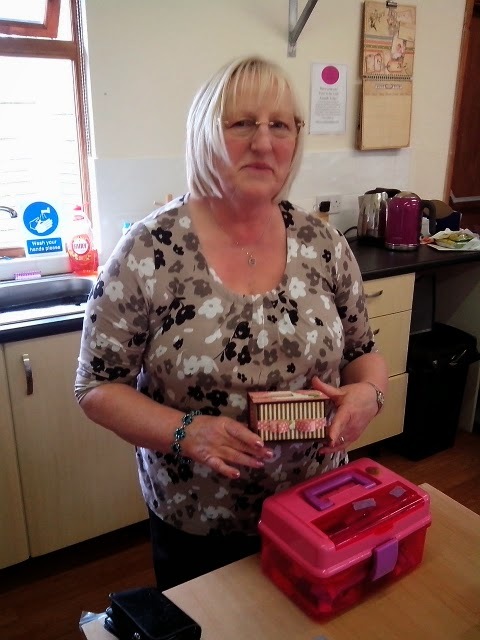 Hi Clare, Fabulous card and piccies today, everyone enjoying their time with you. Here's hoping your weekend was good and your workshops went well. You will be ready for a well-earned rest now haha. 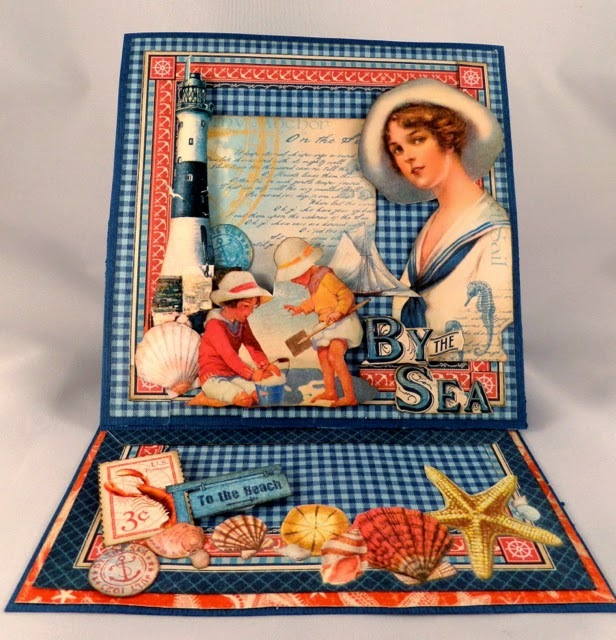 Love the By the Sea, and your card is so lovely. Read prev mention of making a bow and hunted til I found it, didn't realise you had a Youtube Channel. Fantastic tutorials, thanks so much and consider me subscribed. Crafting hugs.